On April 05, 2019, H.E. Mr. SOK Chea, Ambassador of Cambodia to the Republic of the Union of Myanmar, accompanied by Mr. Thoun Serey, Attaché in charge of Accounting, received the Cambodian monks led by Venerable Saccapandita Ham Horn, from Khmer pagoda namely Kampucha Rangsey, Yangon, to hand over a personal donation of 300USD of H.E. Ambassador and Madame for Bon Phkasameki, and 455USD, donated from H.E. 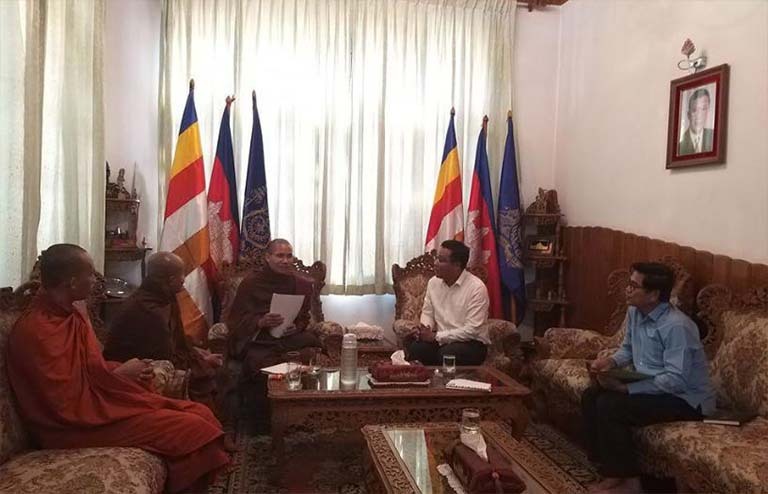 Ambassador and Madame, and Embassy’s Officials as well as Cambodian Community in Myanmar to the monks for the month of April 2019. During this occassion, H.E. 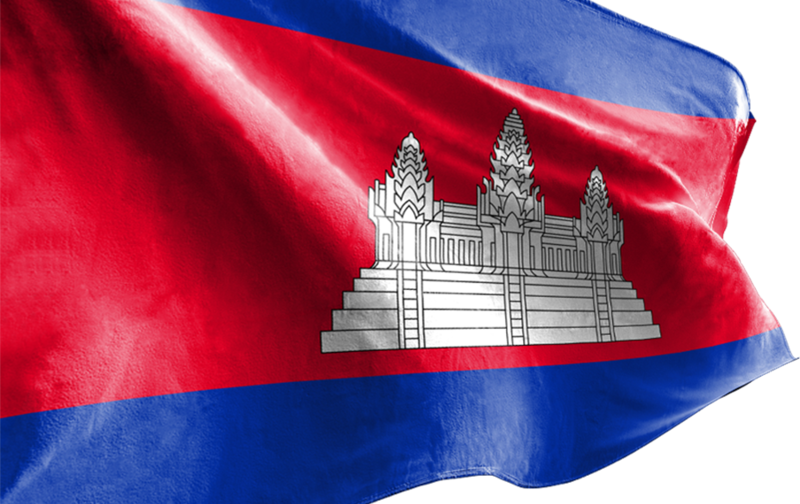 Ambassador and Venerable Saccapandita Ham Horn also talked about a plan to continue building the Pagoda after obtaining legal rights and organizing opening ceremony of this first Khmer Pagoda in Myanmar which will be held on 13 May 2019, and around 500 Cambodians from Cambodia will participate in the event.